Daniel Martinez enjoys sharing his passion for musical with people of all ages and backgrounds. He considers music to be a universal language, and a powerful vehicle for communication that transcends spoken language. 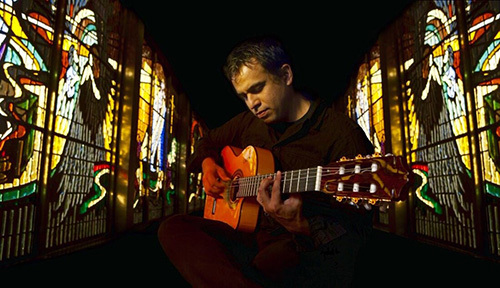 He honed his skills through the mastery of flamenco, classical, and acoustic guitar. He has performed in South America, Canada and across the U.S. Today, five solo instrumental recordings later, he is a sought-after instructor and a familiar presence on stages in the region. Martinez is guitar professor at Union College who also offers private and group lessons for all ages and abilities. His residency activities may include introduction to the guitar, music around the world, rhythm and chord instruction, demonstration of more than 10 different instruments, all tailored to the age and experience levels of participants.